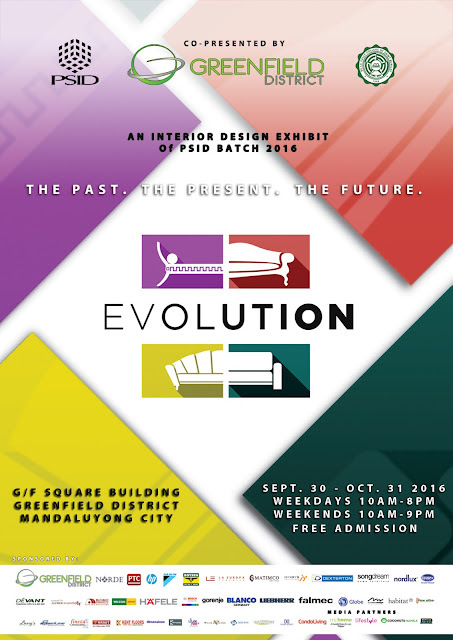 The Philippine School of Interior Design (PSID) Advanced Class of 2016 presents their graduation exhibit entitled, "Evolution," as the school celebrates its 49th founding anniversary. Be ready to be transported through the designs of the past, present, and future, when you visit the exhibit that's on display at the Square Building, Greenfield District, Mandaluyong City, from September 30 to October 31, 2016. Best of all, admission is FREE! 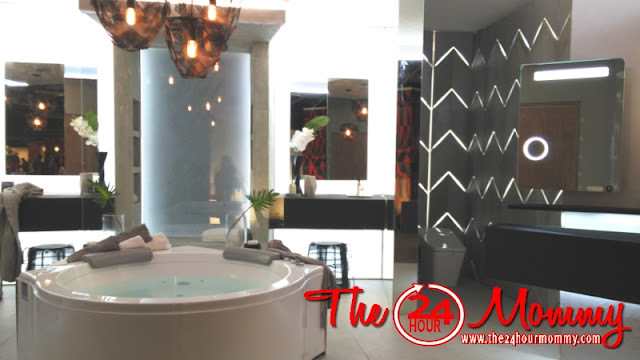 Twenty-four (24) exquisitely-designed spaces showcase the different time periods of interior design. 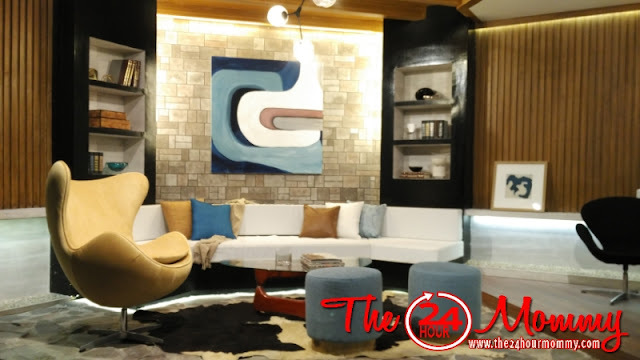 The Past gallery features looks inspired by the designs of the 1940s to 1970s. Meanwhile, the Present gallery exhibits classic Tropical, Filipino, Chinese, Japanese, Moorish, Mediterranean, Victorian, and Baroque designs made more contemporary. Lastly, the Future gallery shows the student designers' fearless forecasts on what future designs will look like based on trends today. I have always loved natural and neutral color schemes. You can say that I'm on the conservative side when it comes to home designing. I like how airy and spacious this living room is and the blues in the background pop but not too loudly. This is something my husband and I would agree on. 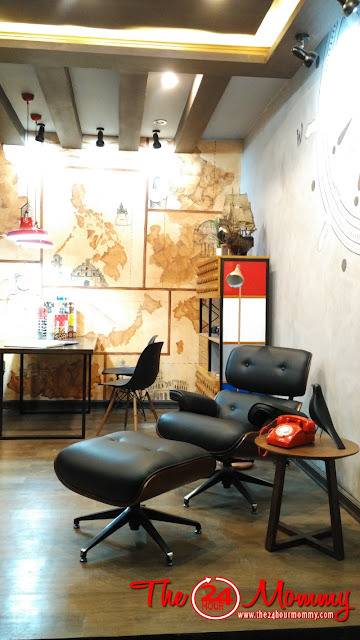 This is just one part of the room that showcases elements considered trendy during the 1950s - bricks, wall-to-wall carpet, and wood. I can see myself going quiet and solo here for hours and being absorbed either on my computer or in books and magazines. 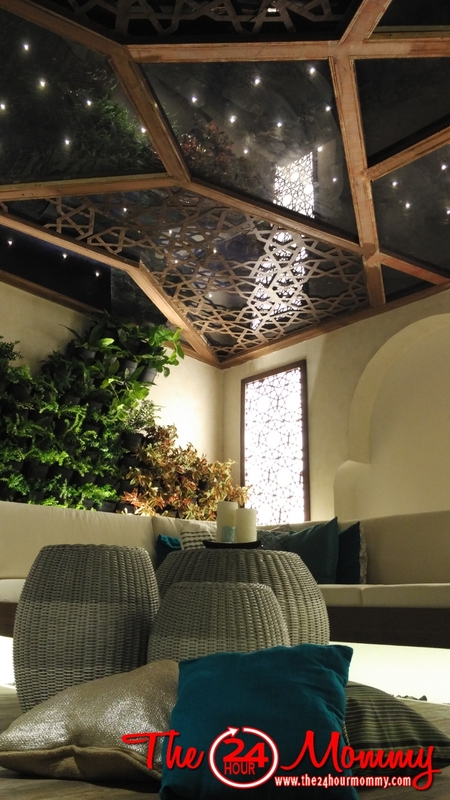 This space's relaxing and cozy ambience is irresistible. But what really caught my attention was its intricate ceiling design. I can see myself just relaxing with ambient music, a glass of wine, and chit-chatting with my boys on a Friday night in this lanai. Stress-free! 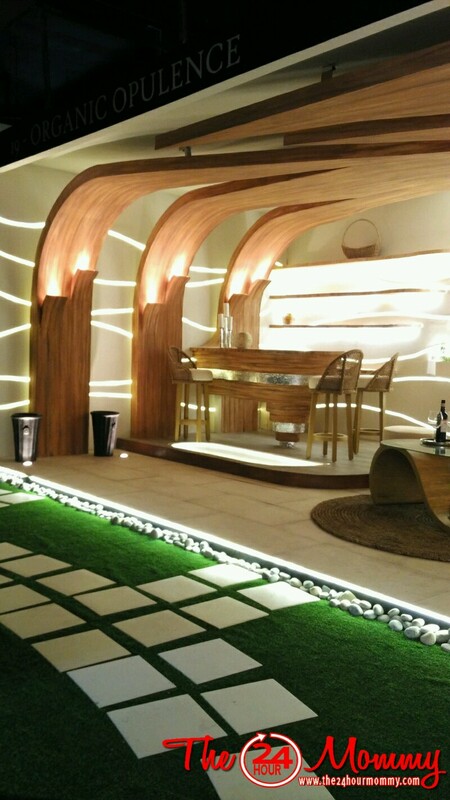 That's one word to totally describe this space. There's wood and stone, plants and grass. And the warm lights... what's there not to love? The design of this bathroom is still contemporary, if you ask me. It's clean and spacious and I like how the color scheme is uncomplicated. The thing I like most about this space is the tub that's strategically placed in the center of the room. Again, I can imagine myself just escaping reality for a while and just soak myself in the tub for a few hours. Two-thumbs up to PSID's Advanced Class of 2016 for this carefully-planned and extensively-researched exhibit! Hope you can also get to visit the exhibit before it ends!